Hyundai's car production in China fell further last year than in 2017, when sales tumbled due to an unofficial boycott of Korean goods. The Korea Automobile Manufacturers Association said Tuesday that Hyundai's car production in China fell from 827,941 cars in 2017 to 806,214 last year. Considering the facility's capacity of producing 1.81 million vehicles a year, that is a poor operation rate of just 44.5 percent. 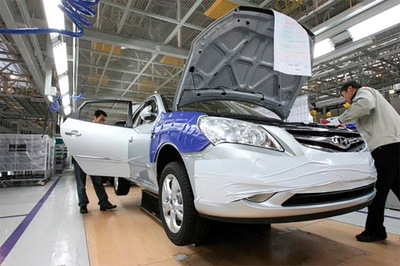 In reality the automaker sold slightly more cars in China last year than the year before, but the slow inventory turnover dragged down net production figures. An industry insider said, "At the end of the day, the [boycott] was not the reason for Hyundai's sluggish performance in the Chinese market. The quality of Hyundai cars lags behind its European and Japanese automakers' and it is losing price-competitiveness against its Chinese rivals."